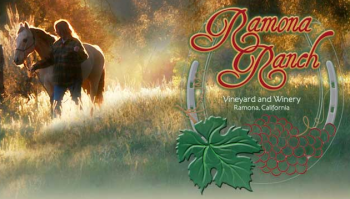 August 17, 2013 (Ramona) -- Rancho Ranch Vineyard and Winery invites you to visit San Diego's backcountry this weekend and experience why Ramona Valley wines are fast becoming the talk of the wine industry. 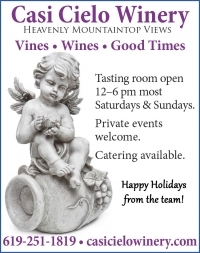 The winery, located at 23578 Highway 78, will host wine tastings and catered appetizers on its tasting terrace this Saturday and Sunday from noon to sunset. 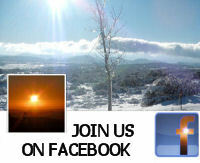 In addition, guests can enjoy wine barrel art, shop for silver jewelry, enjoy massages, and treats for your dogs. Service includes three white and four red wines to choose from. 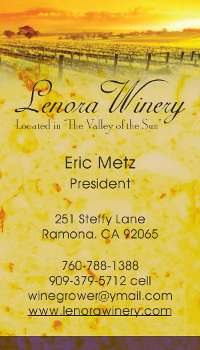 For details, visit http://www.ramonavalleywineregion.com, where you also can download a map of other wineries in the Ramona region.